Scores of Music Festivals in April! There are so many great music festivals coming up in April that there are too many to list here. 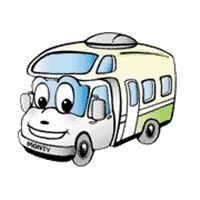 And the best way to experience these music events is to travel by motorhome. 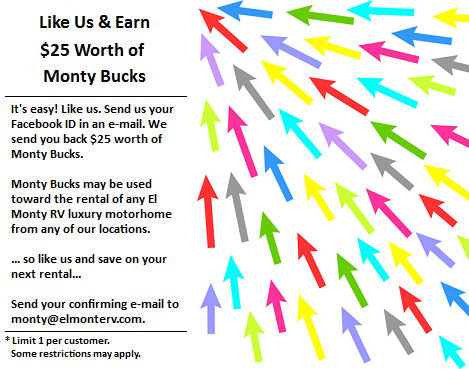 El Monte RV can eliminate the need to purchase airline tickets, hotel rooms and rental cars by rolling all of those into one! No need to brave long airport security lines, or deal with sold out hotels. You've got your own home on wheels! 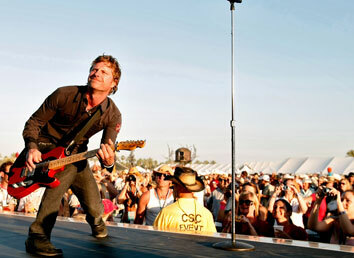 Country music or rock 'n roll, there are a number of great concerts at great venues to satisfy your musical leanings. We have locations nationwide to serve you. Check out our "Where You Can Rent" page for a location that's convenient for you. El Monte RV wishes you a Happy Easter! Easter and Spring Break are the perfect events to seize the chance to hit the road for some well-deserved outdoor fun after a long winter season. The Texas 500 race at the Texas Motor Speedway on April 3rd! The Bojangles Southern 500 race at the Darlington Raceway on April 11 - 12! The Toyota Owners 400 race at the Richmond Int'l Raceway on April 25 - 26! El Monte RV is pleased to feature Idyllwild RV Resort in Idyllwild, CA as this month's Campground of the Month! Nestled at an elevation of more than 7,000 feet, Thousand Trails Idyllwild RV Resort is one of the few destinations in Southern California with all four seasons. With close to 300 sites spread over 200 acres, the Idyllwild RV campground is a full-service preserve with something for everyone's interest. Idyllwild RV camping resort offers a wide range of activities and amenities for your convenience. 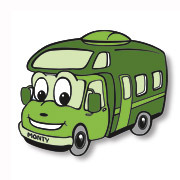 Their staff is always ready to show you around their RV resort in this idyllic mountain setting. Resort amenities include fishing, shuffleboard, nature/hiking trails, clubhouse, restaurant, store, table tennis, pool, volleyball, swimming pool, horseback riding, free wi-fi and more! All this plus spectacular views! Check out this YouTube video on the campground. Ancient American Indian culture is the centerpiece of this National Monument. A number of prehistoric native people inhabited this land back some 17,000 years. Among those were the South Appalachian Mississippian culture who built the mounds that are the focal point of this park and are still visible today. There are 7 mounds in the park, the tallest of which is the Great Temple Mound at 55 feet tall. The Mississippian Culture built the mounds here from 900-1250 CE. The mounds are solid earth and were constructed to place structures on top of them. They were also built to serve as places for the elite of the village to conduct meetings, important ceremonies and ultimately, to be buried there. While there are no campgrounds inside the monument, there are campgrounds in the vicinity. 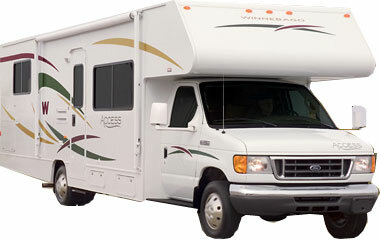 Check out this Google map of nearby rv campgrounds for more information. Please visit our locations map to find a location that is suitable for your trip. 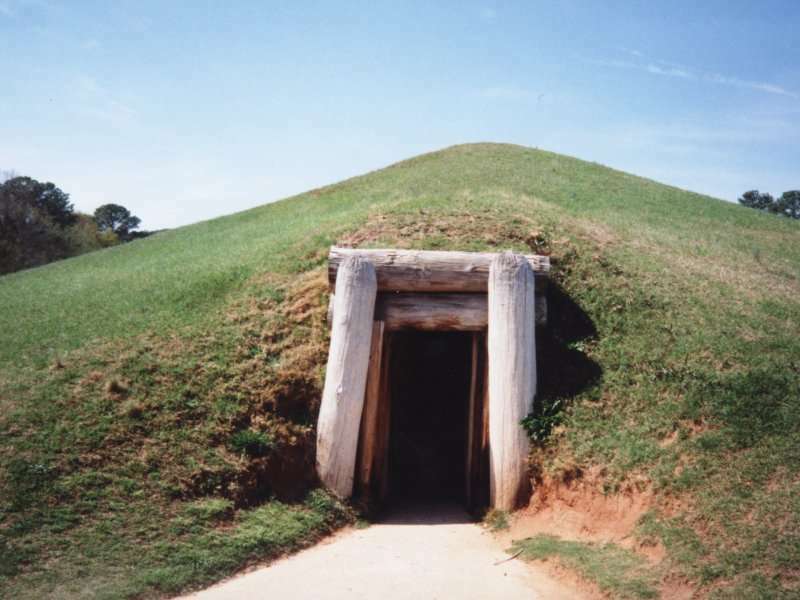 Picture credits: This picture of the Ocmulgee Earth Lodge is from the Wikimedia Commons. It is licensed under the Creative Commons Attribution-Share Alike 3.0 Unported license. ~ In a medium mixing bowl, combine flour, cocoa and salt. Set aside. ~ On high speed in a stand mixer or with a hand mixer, beat together butter and sugar for about 2 minutes until light and fluffy. ~ Add egg yolk, milk and vanilla. Mix until incorporated. Reduce speed to low and add flour mixture until combined. ~ Wrap dough in plastic wrap and refrigerate for an hour. ~ Whisk egg white in a bowl until frothy. ~ Roll cookie dough into one inch balls. ~ Dip the cookie balls into the egg white and roll in the chopped pecans until outside is coated. ~ Place the balls 2 inches apart on the cookie sheet and with a teaspoon, make a small indentation in each ball. ~ Bake at 350 degrees for about 12 minutes or until set. ~ While they are baking prepare the caramel filling. Melt the caramel and heavy cream in the microwave stirring every 30 seconds until it is fully melted. ~ Once the cookies are baked, make the indentation again and using a teaspoon fill each indentation with the caramel. ~ If drizzling with chocolate, melt the chocolate and shortening in the microwave, and scoop into a ziplock bag. Barely snip the corner and drizzle over the cookies. This best selling Class C slide-out model with bunk beds sleeps five, comes with 2 slide outs, stove, refrigerator/freezer, microwave, generator and so much more. Looks like new! Includes warranty.